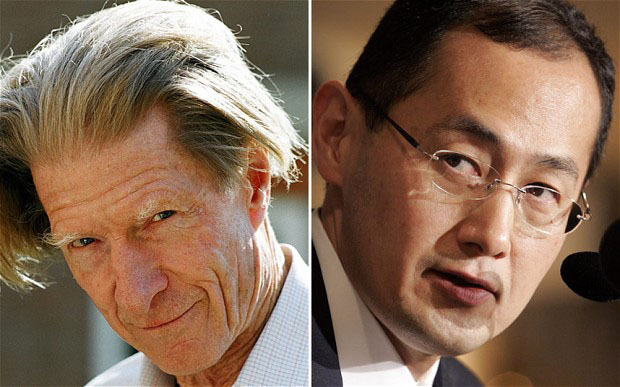 Britain's Sir John Gurdon and Shinya Yamanaka of Japan have won the 2012 Nobel Prize for medicine. The duo had been awarded for their research in nuclear reprogramming, a process that instructs adult cells to form early stem cells which can then be used to form any tissue type. The prize committee at Stockholm's Karolinska Institute said Monday that the two researchers won the award "for the discovery that mature cells can be reprogrammed to become pluripotent." The committee says the discovery have "revolutionised our understanding of how cells and organisms develop."